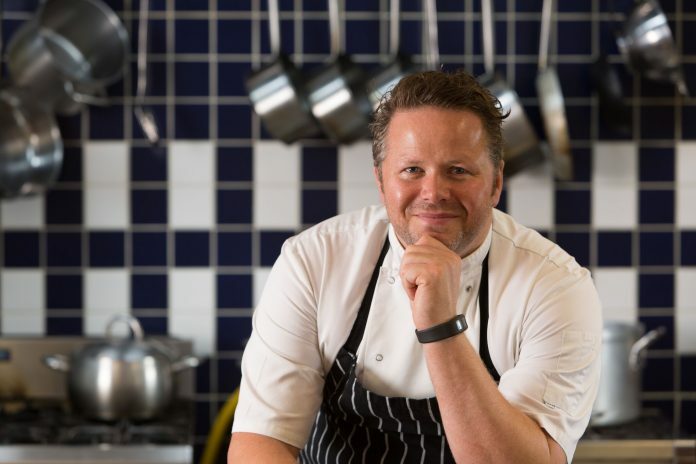 Ginsters of Cornwall has teamed up with a Cornish Michelin-starred chef for a new food partnership. Ginsters has collaborated with Chris Eden, head chef at the Driftwood Hotel in Portscatho, to work on some new developments for the brand, including a Mexican chilli beef savoury slice, which will be sold in Tesco stores nationwide from November 6. Eden is working alongside Ginsters’ team of development chefs, including head chef Graham Cornish who has worked at Ginsters for 34 years. Ginsters MD, Kieran Hemsworth, said: “What struck us when we met Chris was our shared values and passion for creating great tasting recipes. Chris creates a small number of dishes in his fine dining restaurant every day, and we bake millions of savoury pastry products every week in our bakery in Cornwall, but we are equally as passionate about crafting our recipes.